RetroUniverse: Queen And Prince Abdicate To King! Queen And Prince Abdicate To King! Whether you’re a republican or a monarchist, there’s no denying that 1985/86 witnessed a uniquely strong ‘royal’ presence on the popular music charts. Rock heavyweights Queen delivered a ‘Hammer To Fall’ before having ‘One Vision’ about ‘A Kind Of Magic’. The ever evolving Prince took us on a walk through ‘Paisley Park’ in a ‘Red Beret’ before stopping for a ‘Kiss’. A gifted vocalist, who just happened to go by the name Princess, encouraged everyone to ‘Say I’m You’re No. 1’, even ‘After The Love Has Gone’. And rounding out this royal role call of regents was the musical monarch King, suitably full of ‘Love & Pride’. 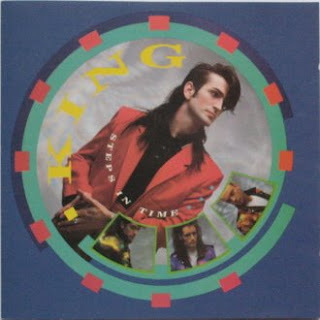 Singer Paul King may not have been of royal lineage, but he did lend his name to the British pop-rock quartet King. Aside from King himself, the royal entourage featured Jim ‘Jackal’ Lantsbery (guitar), M ick Roberts (keyboards), and Tony Wall (bass). King assumed the thrown out of the ashes of a Birmingham based rock-ska band called The Reluctant Stereotypes. 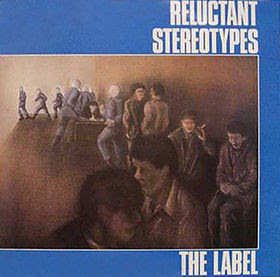 The Reluctant Stereotypes released an album titled ‘The Label’ in October 1980, but the Coventry based band couldn’t crack the British charts with either album, or three single releases (including ‘Plans For Today’ and ‘Confused Action’). The Reluctant Stereotypes were aligned to the ‘two-tone’ music movement, which was a fusion of ska, punk rock, rocksteady, reggae and pop styles. But they couldn’t manage to crossover to mainstream success like Madness, The Beat and The Specials. Sensing the public’s reluctance to fully embrace the band, singer Paul King and The Reluctant Stereotypes called it a day. King kick started a new musical enterprise called The Raw Screen. They shifted from the ‘two-tone’ formula to what Paul King referred to as ‘multi-tone’ - which I think was just another way of saying they were going to broaden their sound. In 1983 it was decreed that The Raw Screen should be known henceforth as King. The newly crowned pop-rock band set to work on their debut album in 1984 for the CBS label. Aside from King, Lantsbery, Roberts and Wall, the studio line-up also featured drumming duties from Richard James Burgess, who happened to also be the producer. 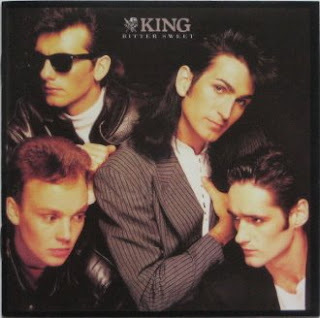 King released their first single in late ‘84 with ‘Love & Pride’. First time around the song floundered in the lower reaches of the British charts (#84), and the follow up singles ‘Soul On My Boots’ and ‘Won’t You Hold My Hand Now’ also failed to perform royally. But the band, and thankfully CBS, had tremendous faith in the song ‘Love & Pride’ in particular. 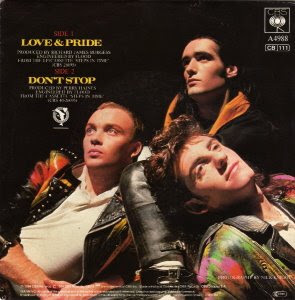 With a more concerted promotional campaign in place, ‘Love & Pride’ found its way onto radio play lists and soon back into the British charts in January ‘85. Second time around ‘Love & Pride’ soared to #2 on the British charts, held off from the #1 spot by ‘When The Going Gets Tough, The Tough Get Going’ by Billy Ocean (see earlier post). The promotional video for ‘Love & Pride’ focused on singer Paul King, whose ‘cockatoo’ style haircut and spray painted ‘Doc Marten’ boots, gave him…well an interesting image. 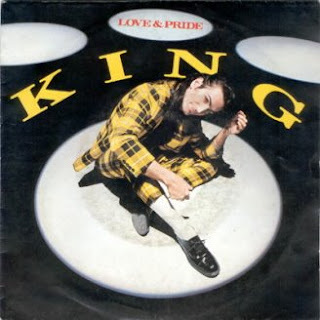 ‘Love & Pride’ became King’s only major hit in the colonies, reaching #8 in Australia and #55 in the U.S.
‘Won’t You Hold My Hand Now’ was remixed and re-released on the back of the momentum established by ‘Love & Pride’. At its second attempt ‘Won’t You Hold My Hand Now’ was well received (UK#24/OZ#86), further pushing sales for King’s debut album ‘Steps In Time’ into the British top 10 (#6/US#147). Newly dubbed ‘subjects’ of the King sound didn’t have to wait long to hear the first single from the band’s proposed second album. 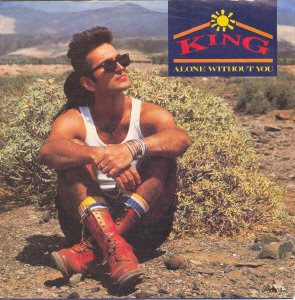 ‘Alone Without You’ hit the British charts in August ‘85 and soon after hit the top 10 (#8), though King’s appeal didn’t extend beyond the borders of its British kingdom for this, or subsequent releases. King’s sophomore album was released at the same time as the next single, and both made a solid impact on the charts. 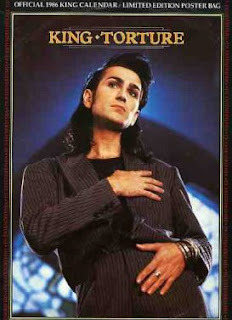 The single ‘The Taste Of Your Tears’ peaked at #11, whilst the album ‘Bitter Sweet’ elicited more of a sweet response from music fans (UK#16). Richard James Burgess stayed on as producer, but the drumming duties were handed to Adrian Lillywhite (brother of famed producer Steve Lillywhite). 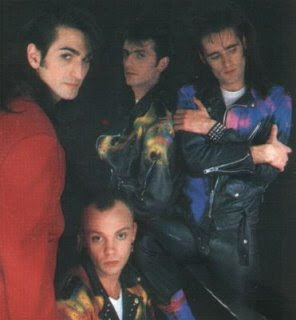 ‘Bitter Sweet’ yielded one more hit single with ‘Torture’, which peaked at #23 on the British charts in early ‘86. I haven’t been able to uncover any official historical records as to the exact circumstances of the fall of the ‘King’ empire during 1986, but if it followed the generic guidelines for band break-ups, it probably involved some internal squabbling, and possibly the singer’s assertion that he could make it as a solo act. In a quirky coincidence King broke up in November 1986, around the same time that Prince dumped the Revolution to try his hand flying solo. So the pop landscape was rife with rock-royalty looking to make it sans-entourage.